Thanks to today’s fast paced, hectic modern lifestyles which seldom allows a person to workout actively or follow a well-crafted fitness regime. Easy access to the internet, TV and technology have brought about a paradigm shift in perspective of woman taking to fitness and health seriously. Rising cases of osteoporosis and lowering of bone density have catapulted women to take up health, diet and fitness in a major way. Similarly, breast cancer continues to take lives of millions of women and is in fact the second most common type of cancer among women in India. Do not be in lookout for Quick Results: Give your body at least 2-3 months to see noticeable changes. Don’t get frustrated if you don’t get results immediately. Add Variety: Change your fitness regime in order to challenge the body in different ways. The body adapts really quickly to a workout so over a period, it is going to burn less calories,You need to either increase the intensity of the workout or change it, in order to burn more calories. Do not Limit to Cardio: Women tend to limit their workout to treadmill & running, while cardio does help with weight loss initially, but at the cost of not having enough muscle. Cardio is really good for your heart and an important part of your training program, but your best bet for weight loss is in fact building muscle mass. Look for a well-rounded and balanced training programme that also includes resistance training to strengthen muscles and yoga or stretching for mobility and flexibility. Pay Attention to Your Body-Type: Each body is unique & reacts differently. So one should try different exercise before finding out what works out for them. 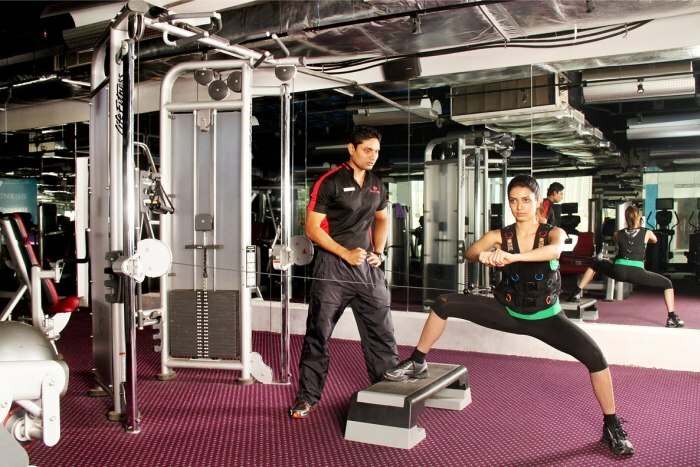 Meet a professional trainer to customise your fitness plan and guide you on which exercises are good for your body. Choose & Stick to a fitness routine that suits ou after trying out a few different exercise routines — yoga, pilates, Zumba, kickboxing and tai chi — and see what you like best. Fitness is here to Stay.